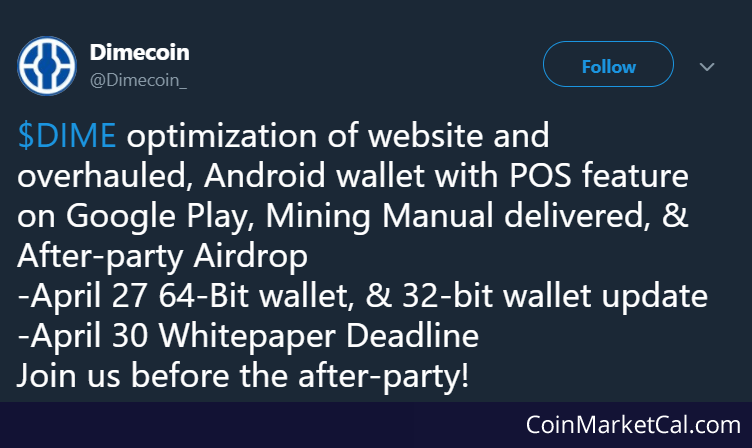 Staking rewards released during Q1 2019. "Upgrading to POS," in Q4 2018. 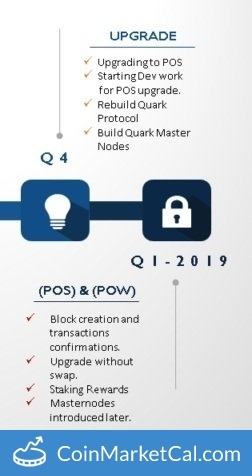 "Rebuild Quark protocol," in Q4 2018. 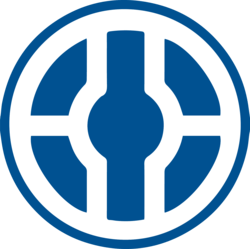 Dimestore available to purchase Dimecoin products/merchandise. 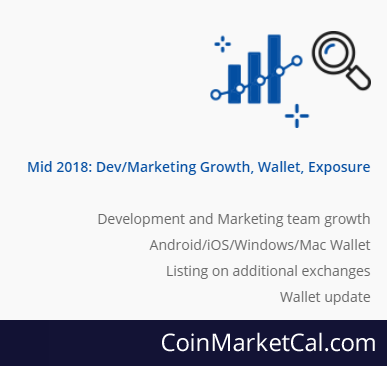 Android/iOS/Windows/Mac wallet planned to be released by middle of 2018. Unknown Announcement. 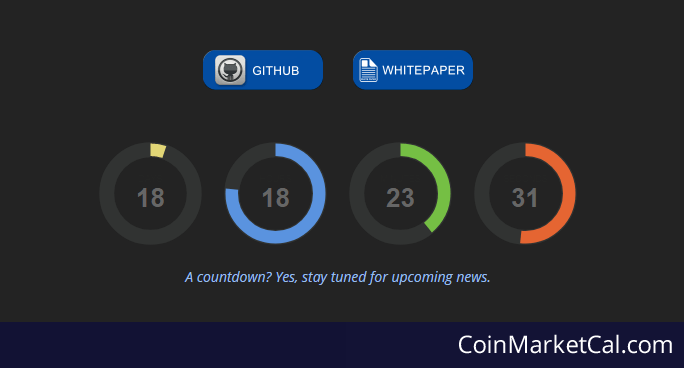 There's countdown on the website.